Henning Hartwig specialises in the prosecution and litigation of IP rights in the fields of trademark, design, copyright and unfair competition law. Dr Hartwig focuses on national and international industrial design law, multinational design infringement proceedings and invalidity proceedings before the EUIPO. 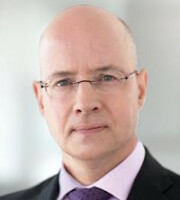 As editor of the four-volume casebook Design Protection in Europe, Dr Hartwig has unique access to unpublished decisions on Community and national design infringement throughout Europe. Clients in this field are mainly from the computer, electronic games, fitness equipment and clothing industries. Dr Hartwig has successfully conducted and coordinated a number of multi-jurisdictional infringement proceedings in Germany, Italy, Switzerland, France, Austria and the Netherlands. He also acted in one of the first infringement proceedings in Germany concerning an unregistered Community design. Dr Hartwig has represented clients in the consumer healthcare, television marketing and food industries. He is also active in copyright protection, having represented one of the leading European furniture manufacturers.